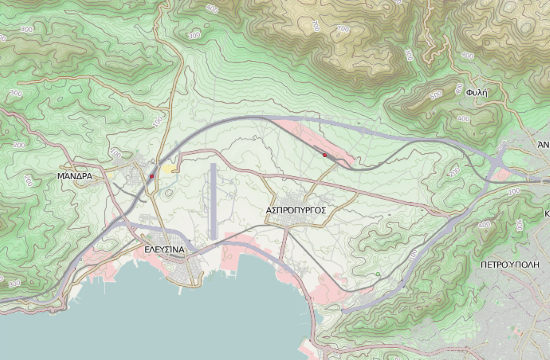 Call for tender for the jumbo Logistics Center in Aspropyrgos, Western Attica, aka "Thriassion II", is just a matter of days according to OSE executives, ypodomes.com reports. This is also confirmed by a decision of the Greek Ministry of Infrastructure and Transport, which was published last week. "Thriassion II' will be tendered as a concession project, with an estimated duration of 30 or more years. The tender will be carried out, as expected, in 2 phases. The first one concerns the Expression of Interest while the second one the submission of binding offers (technical and financial). Important factors for the awarding of the contract will be the percentage that will be offered to OSE (the higher it will be, the better for the interested parties, however it can't be the majority stake) and the additional mandatory investments in the property of Thriassion, among others. It is noted that , according to what is already known, investments for the new Logistics Park will not be exceeding 20m euros, when investments in the adjacent area of "Thriassion I" will be over 120m euros. It should be reminded that the tender for the concession of "Thriassion II" is a commitment of the country, before the end of March 2019. According to OSE sources, the call for the Expressions of Interest will take place around mid-March, in order for the Commission to grant an extension until the process is completed. The presence of Goldair and TRAINOSE in the tender is considered certain while the participation of OLP still remains unconfirmed. The property belongs to OSE and a few months ago a wide range of infrastructure projects, such as multiple railway lines, electrification works, warehouses, administrative buildings, etc. were completed. When concluded, it will become the largest Logistics Center in Southeast Europe with a total area of 1.758.240 sq.m. The commercial exploitation of "Thriassion II" Freight Railway and Sorting Station is also one of the major challenges promising to turn the entire region into a huge Logistics Area, creating thousands of new jobs. One interesting fact is the establishment of assembly centers, a new field for the country with great prospects. Completion of the tender is expected in 2019, as long as there aren't any legal delays.